Alone and desperate in Pelican Pointe, she faces an uphill battle against a judgmental and hostile town as she tries to rebuild her life. But when a mysterious and handsome stranger with a tragic secret appears, her fragile new world threatens to come crashing down around her. 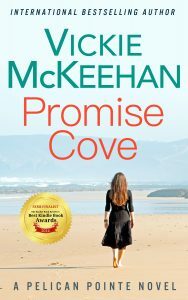 A heartbreaking story of love and romance, Promise Cove will hold you breathless until the very last page.